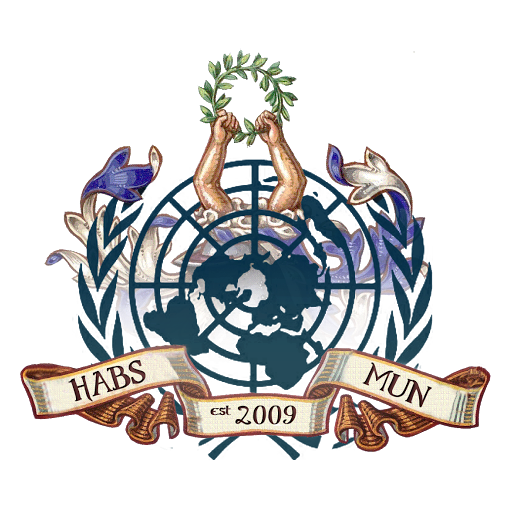 MyHABSMUN is the system for advisors to register for HABSMUN and to access the Approvals Panel (including resolution pre-submission). If you have any questions or issues, please contact the Secretaries-General at . Please enter your email address and your username will be emailed to you. If you have also forgotten your password, first obtain your username using this form then use the password reset form to reset your password. If you have forgotten your password use this form to reset it to a new random password which will be emailed to you. You can then log in to MyHABSMUN and change your password to one of your choice using the password change form. Your email address must be active, as it will be used to verify your account. We will also use it to send reminders and updates, so please ensure it is checked regularly, especially as HABSMUN approaches. The name of the school you are the advisor for. Please create only one MyHABSMUN account for each school. Where schools have multiple advisors, please contact us separately for extra accounts for Approvals. I confirm that advisor is a DBS-checked (or international equivalent) member of staff.